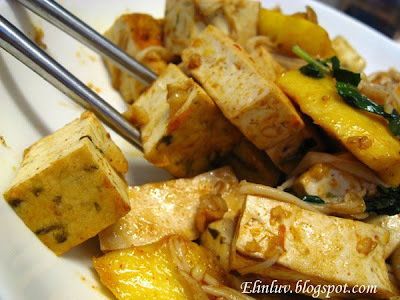 Tofu with mint and mango flavours, looks very good to me. This is a very appetizing dish for summer! haha my hubs is a fun thung too, but I prefer noodles/ pasta. This dish sounds perfect with rice! 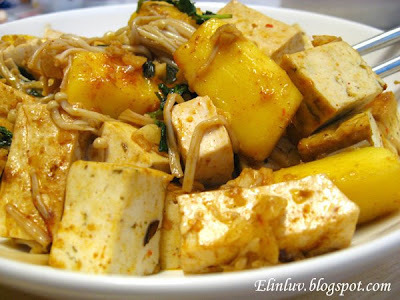 You always cook with Tofu and make it look so yummy. 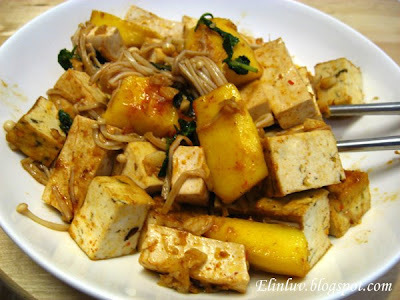 I have not cooked with Tofu since college, but you are truly starting push me into that direction. 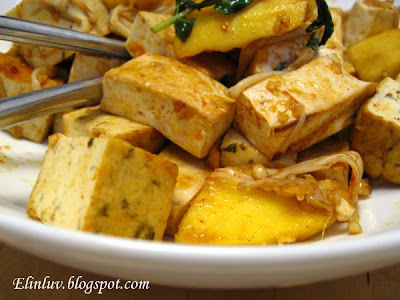 fusion tofu? i like your idea .... i am thinking of making this for dinner tonight, hopefully it will turn out as good. thanks for your generosity in sharing! Elin, you really have your way in cooking! Creative cooking style.